When Rachael of Rachael Schirano Photography asked us to create an elegant, elevated, polished brand and custom Showit web design for her Illinois-based photography business, we were so excited! At With Grace and Gold, we are so honored to create designs to meet the unique needs of every client we serve. 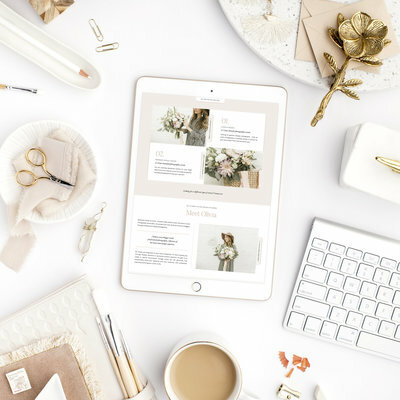 Our top priority is to create designs that don’t look and feel like With Grace and Gold — but designs that look and feel like the one-of-a-kind business owner we are serving. 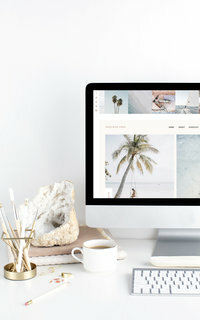 Rachael has big dreams for her photography business — such as providing photography education and adding associates to her business — and she knew she needed a brand and custom web design to help her connect with her Ideal Client and build a strong foundation for her business in the years to come! The roman numerals detail, found throughout Rachael’s web design. 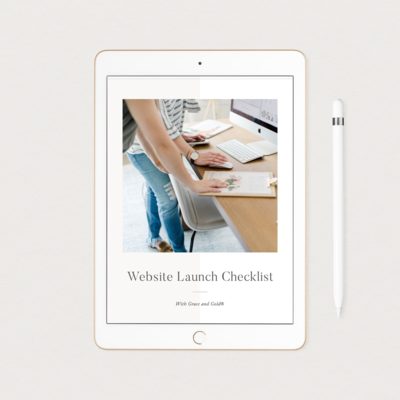 This creates an elegant, polished detail – and also shows how easy to navigate her online home is. The large menu, found when you click on Quick Links in the top right corner. This makes the navigation menu the focus, and helps to serve as a roadmap for prospective clients. The fading-in feature as you scroll down each page. Certain details fade in, creating an elegant, experiential web design experience. 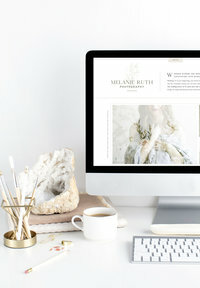 Below, you’ll find a peek at Rachael’s design, and of course, we hope you’ll visit Rachael’s new custom Showit web design here at Rachael Schirano Photography! Congratulations, Rachael!